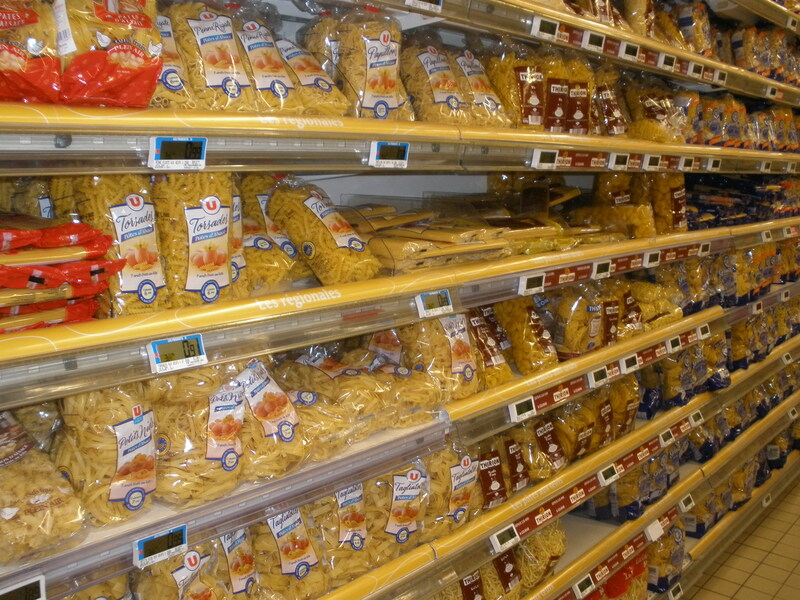 While I was surprised by the wall-o-pasta, Half-Pint was just plain delighted. “Noodles!” He spotted with glee. It didn’t take long for Half-Pint to wear me down… sure, we’ll have “pa-sketti” tonight. 🙂 All we need are a few fresh vegetables, thin cuts of beef, a bit of mild cheese, and yes, spaghetti noodles. Join us for a simple, if slightly surprising, dinner in France! Step 1) Dice onion and saute in olive oil over medium heat until onions are almost translucent. Add garlic and beef strips. Sprinkle with sea salt and black pepper. Step 2) Quickly brown the beef strips on both sides – this should take no longer than 1 minute per side. 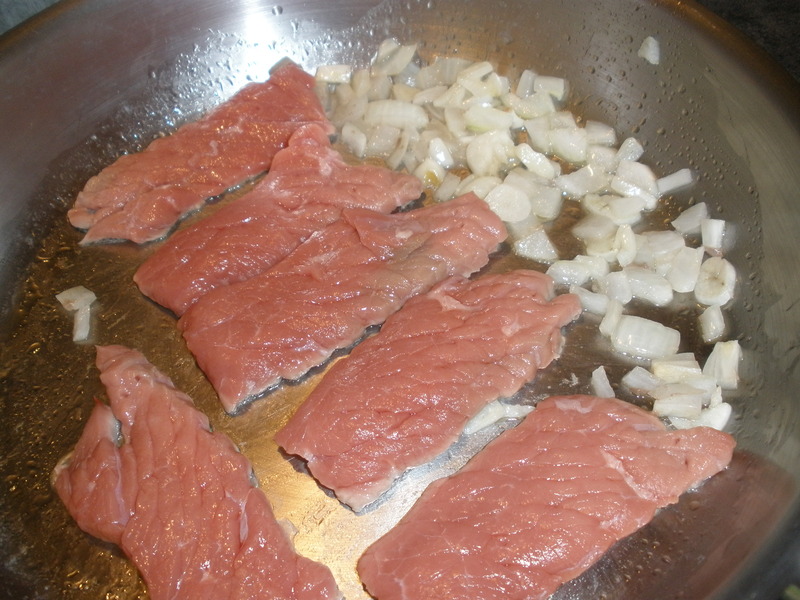 Step 3) Remove beef strips from pan and set aside. Add tomatoes, chopped, and saute with onions and garlic over medium heat for about 3 minutes, until tomatoes just begin to dissolve. Return beef to the pan and stir gently to coat beef with tomato juices. Remove pan from heat. Step 4) Spoon tomato sauce and beef strips over pasta which has been cooked al dente (slightly chewy). 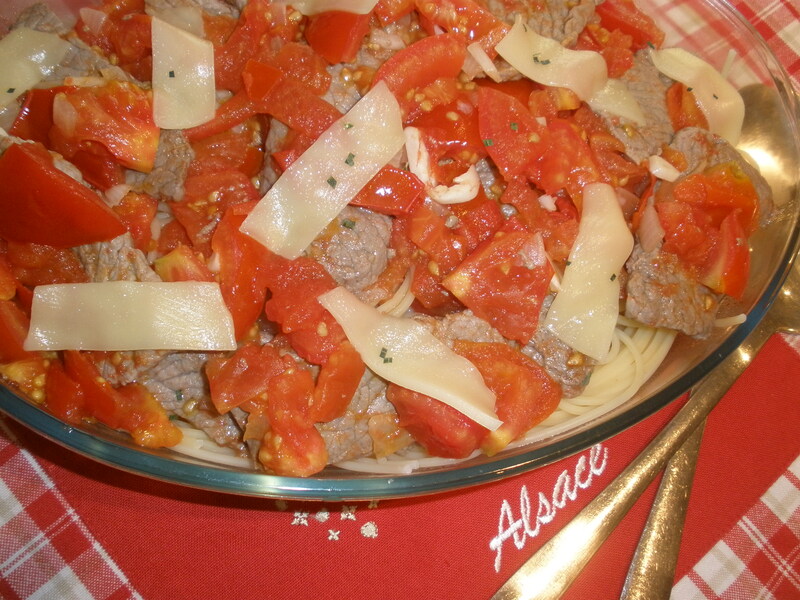 Top pasta, beef, and sauce with thin slices of mild white cheese. Sprinkle crushed herbes de provence over the entire dish. Serve immediately, preferably with a green salad and red wine. Enjoy! 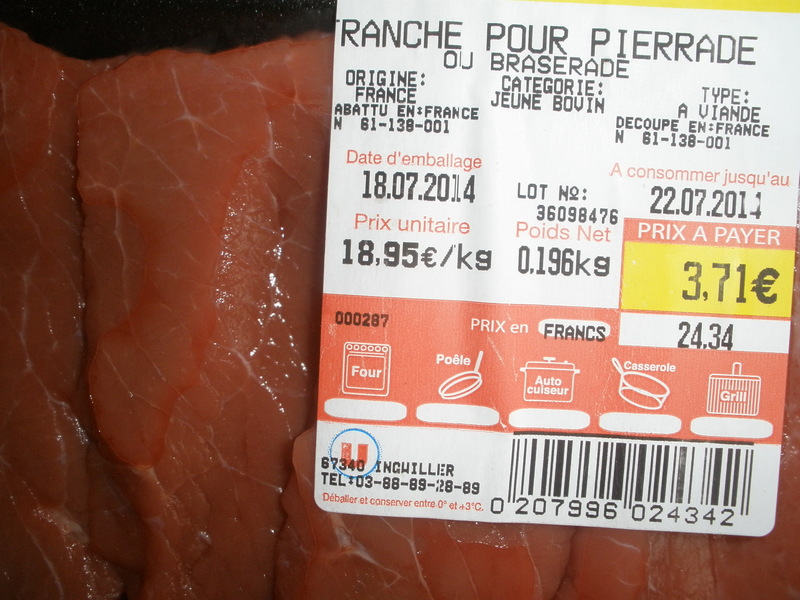 This entry was posted in Main Dishes and tagged beef, Cooking, France, Pasta. Bookmark the permalink.